Fundraising Templates can be an incredible resource for organizations to use for general, event or staff fundraising. 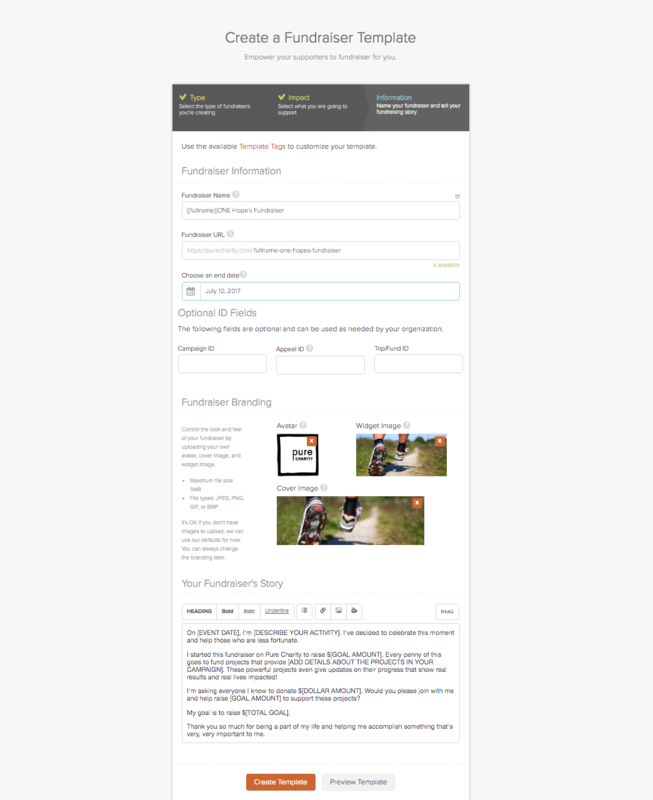 Templates allow the organizations to pre-format a fundraiser for their community to use. With a template, you can pre-fill the funding amount, fundraiser name, branding, location and more. 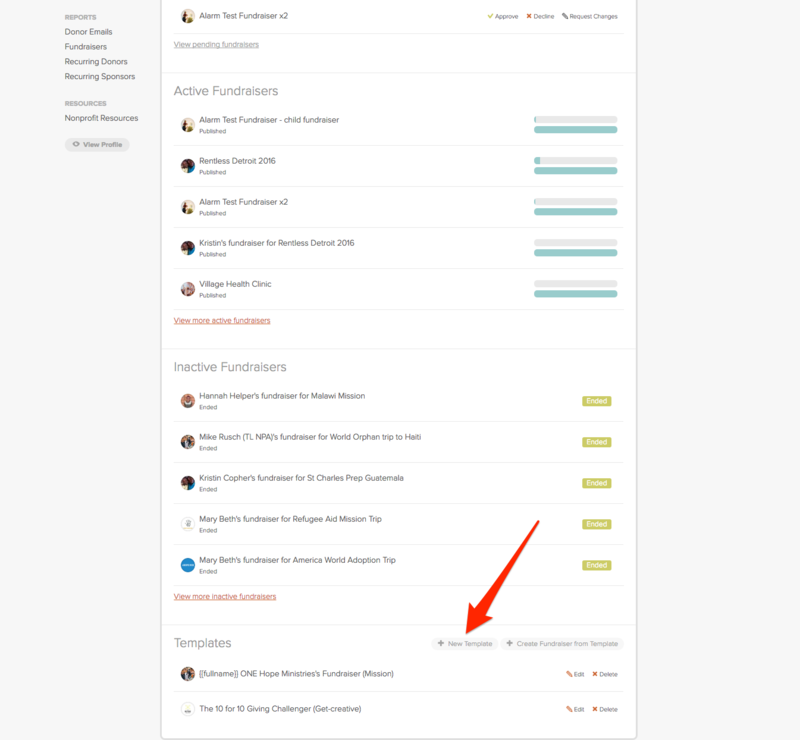 Step One: First, starting at your nonprofit's dashboard, click fundraisers. Step Two: From the fundraiser tab, scroll down to the bottom until you see the Templates section and click "create new template"
Step Three: Fill out all of the information you want copied over to fundraisers created from this template. 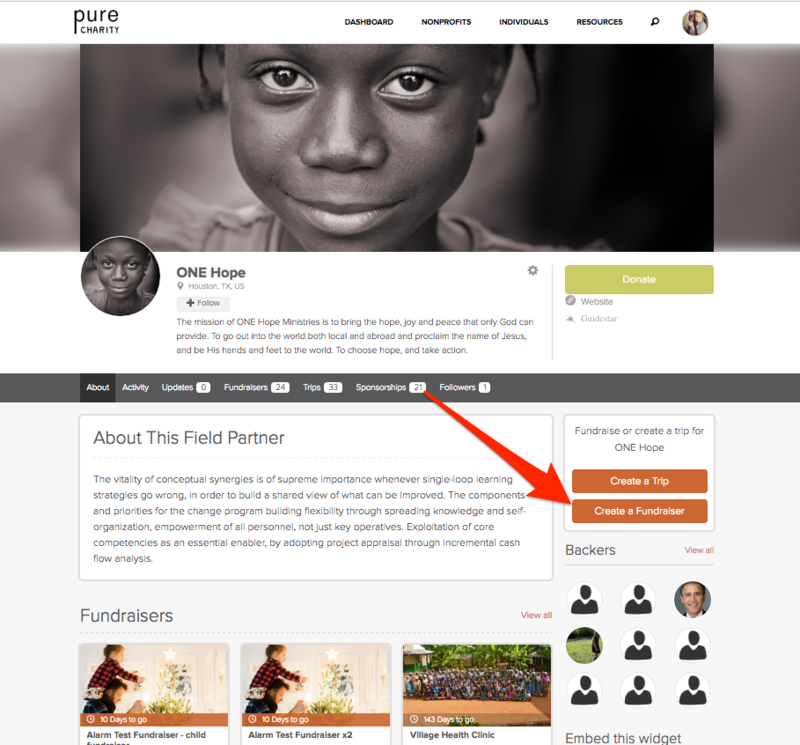 Step Four: Click "Create Template" and your fundraiser template will be launched! So how does your community use your template? For fundraiser organizers to use the templates, they will need to go to your organization's page and click "create fundraiser". 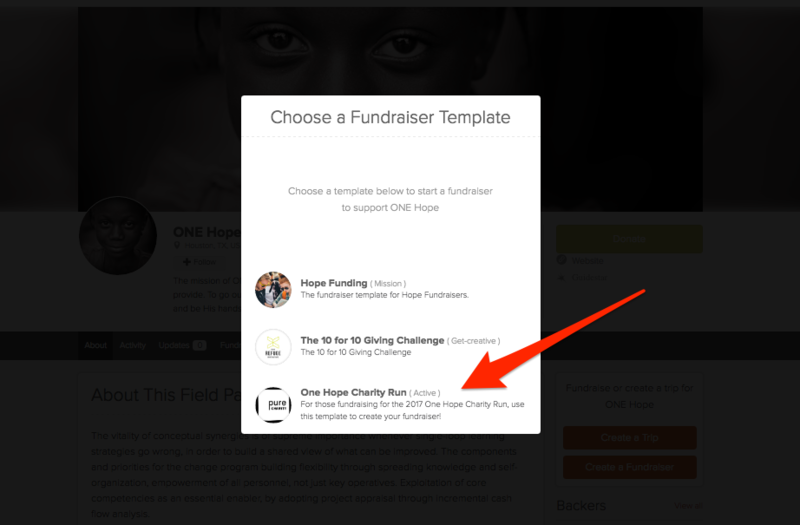 Any fundraiser template created will then show up in a pop-up window on their screen. Once they select the correct template, they will continue filling out the wizard and can begin fundraising today. And that's it! 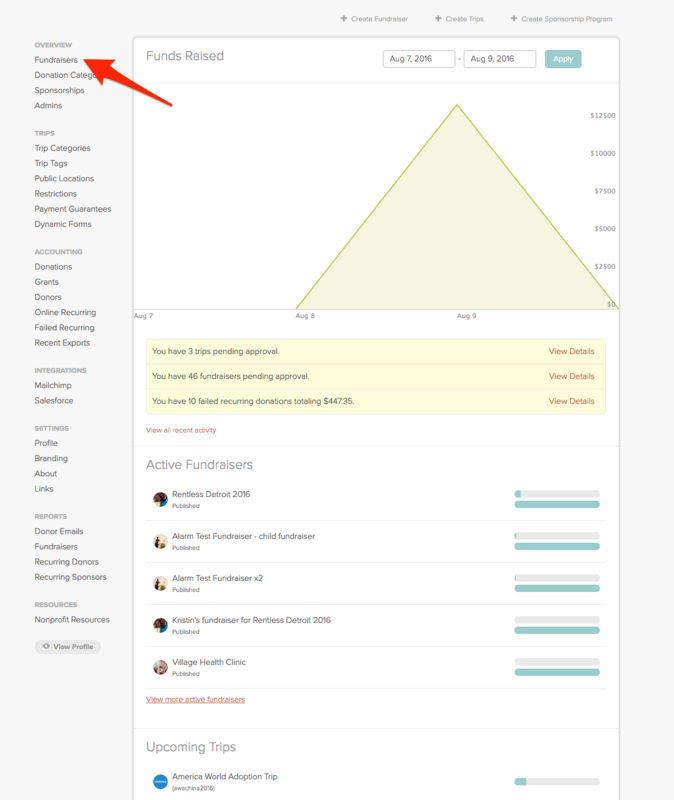 Now everyone creating a fundraiser for your organization will be able to follow the format you have created.